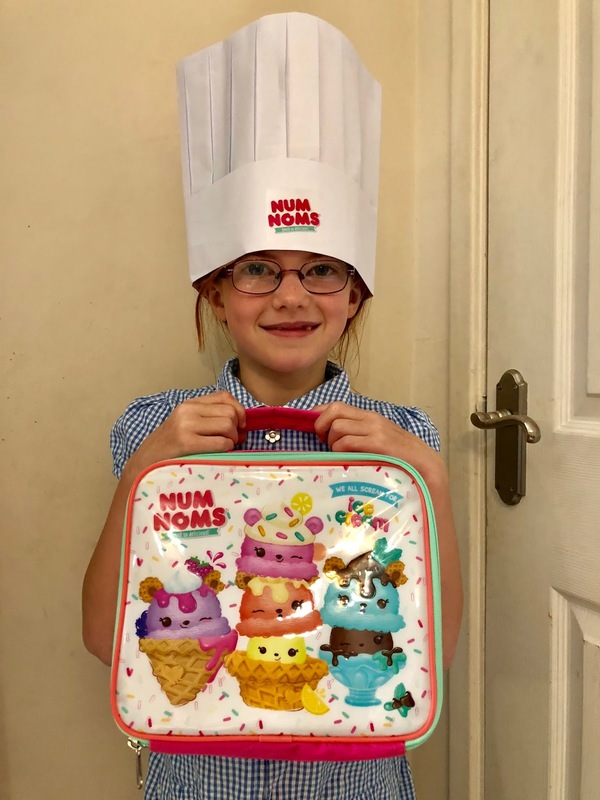 It's National Sandwich Week this week and I've been working with Num Noms to come up with an idea to mark the occasion. 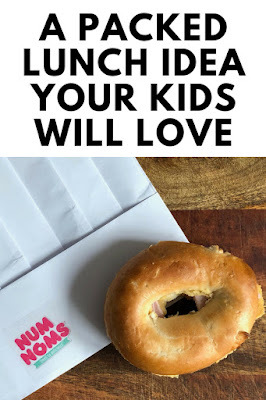 I've decided to jazz up the kids' packed lunches for school as they always have the same thing, Jam Sandwich for Heidi and Chicken Sandwich for Jack on plain, boring white bread - 5 days a week during term time. We definitely needed to mix things up! Heidi and Jack both love playing with Num Noms - they must have over 100 of them scattered around the house. Their favourite characters are the donuts so inspired by this I swapped their regular sandwich with a Bagel Sandwich (Bagels look like donuts, right?) 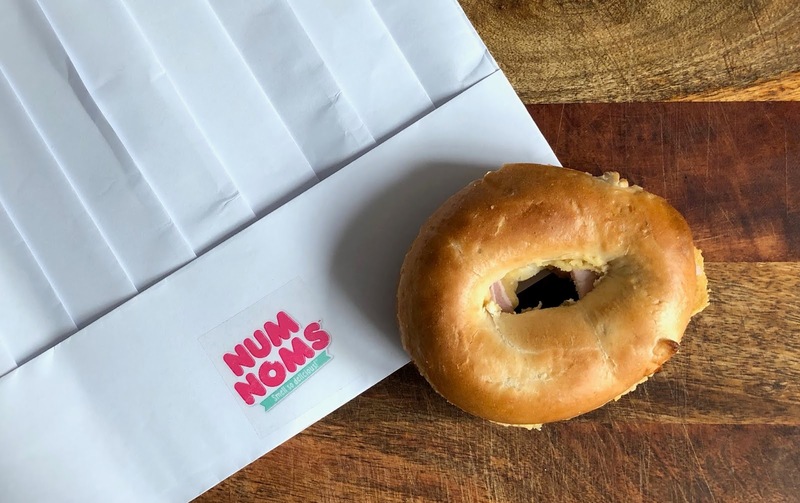 and created their very own Num Noms Donut Sandwich. The kids got on board with this idea straight away and are now obsessed. They've been asking for Donut sandwiches every day this week! Being the proper Geordies and inspired by my recent trip to The Pie & Bottle Shop, we are we decided to make Ham and Pease Pudding Sandwiches along with a piece of fruit and bottle of water (it's all about balance right). Heidi and Jack love it when we hide little notes in their lunch boxes or write on their water bottles, so this week I've been hiding new Num Nom for their collection in their Lunch Box or a set of Num Noms stickers and on Friday, it was a Mystery Num Noms box they can open as an after lunch treat. If you buy a multipack like the one pictured below, you can add a different Num Nom to their lunch box each week until the end of term which if your kids are like mine, they will absolutely love. I like this idea as it stretches a treat out rather than giving it to them all in one go. Our kids' school isn't too strict about doing things like this but I'd check your own school policy before trying it yourself - I don't want to get you in trouble! 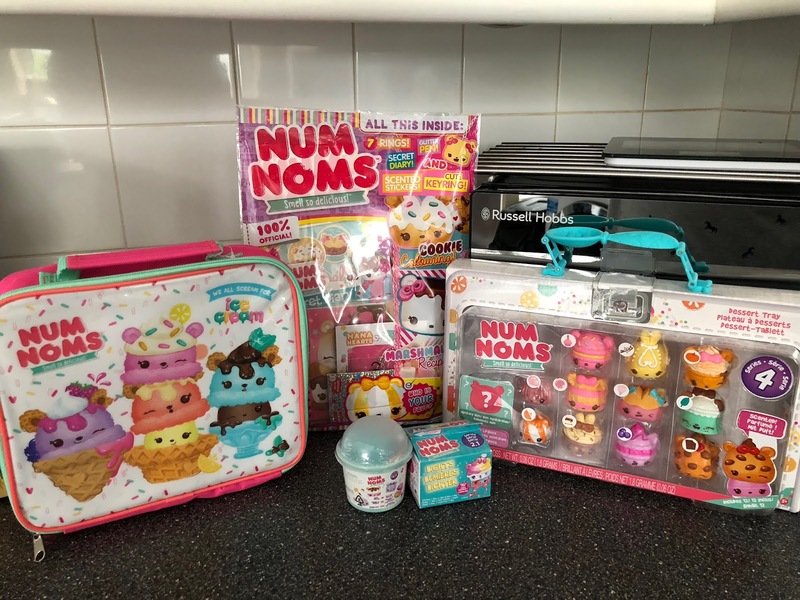 It's coming to the end of term now and creating a special Num Noms-themed packed lunch has been just the pick-me-up the kids have needed after being stuck in a rut for so long, it's been especially good for Jack who has been studying hard for his SATs. 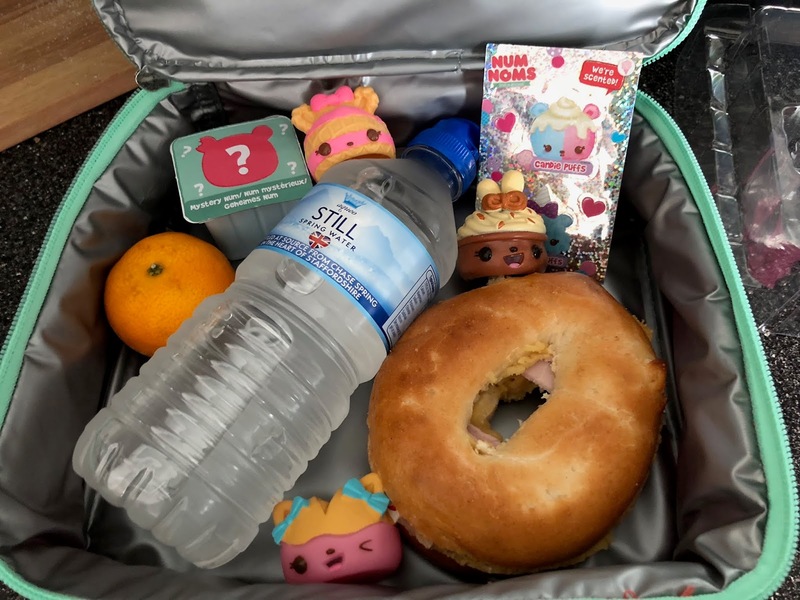 If you'd like to recreate my Num Noms themed packed lunch, I'm giving away a Num Noms Activity Set featuring over 1000 Num Noms stickers which you can pop in your kids' lunch box and make their day (wonder how long it would take for you to get through them all!!) - simply enter using the rafflecopter widget below. Good luck! Something creative! Maybe we would try a home made coronation chicken! Chicken, bacon and sweetcorn sounds good! Yes classic cheese and ham!! Yum! She has both serately but not together as yet! The Chicken, Bacon and Sweetcorn sounds delicious & my kids would love it! Bacon lettuce and tomato lol . Oh maybe a sweet sandwich like peanut butter and jam! 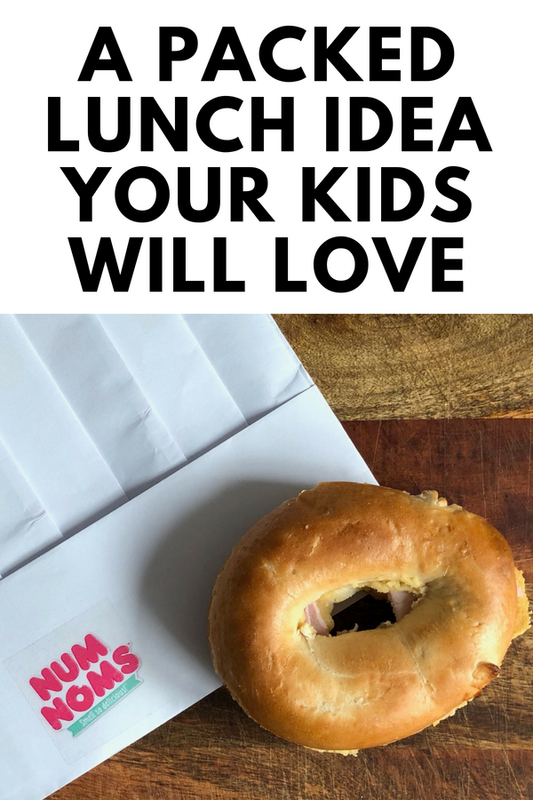 "What kind of sandwich would Num Noms inspire you to make your kids?" Probably open-face sandwiches with wacky cartoon faces! Tuna mayo with cucumber sounds good but so does hoummus and shredded lettuce. 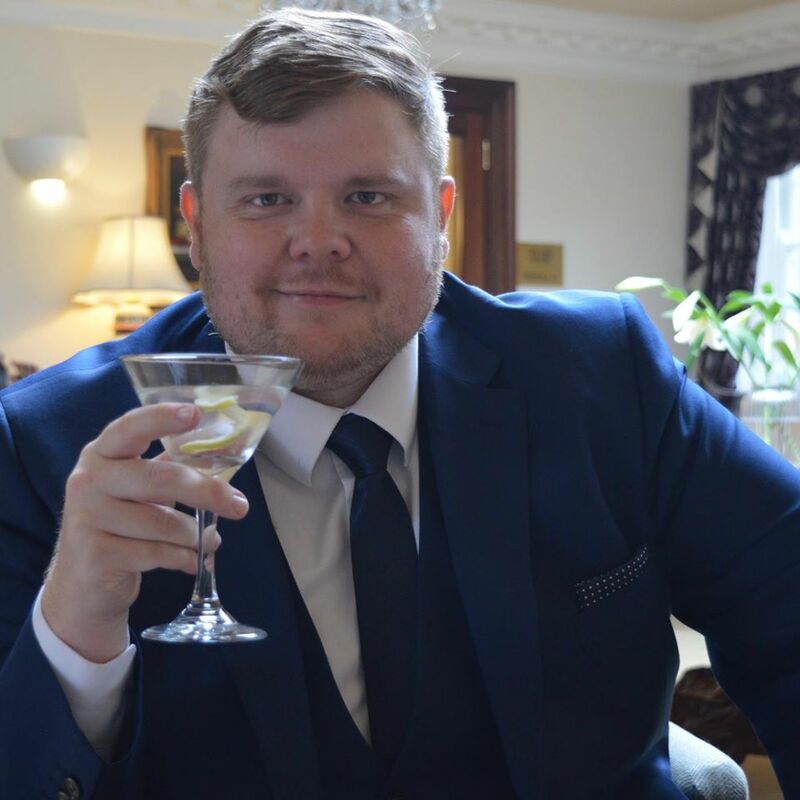 I am trying to get my kids to eat healthily so maybe a tinned salmon mashed up with a bit of mayo and cucumber slices. The 'Flower Tortilla' Num Nom would inspire me to make bright coloured wraps with chicken and salad with the edible nasturtium flowers poking out the top! I would make a cheese ham bagel for my girls. As nom noms are so cute, it would have to be a sweet treat sandwich. Chocolate spread and cucumber i think my niece would enjoy that!